Since video is the most popular Internet medium, it’s wise for businesses to utilize it for lead generation. How-to, thought leader, and customer journey videos are all effective ways of generating new leads. Live videos can also bring in new leads if they can form strong relationships with their viewers. It’s essential to put as much thought into how to distribute your video as you do into creating the video itself. Are you one of those businesses that has so many clients and so much work that you don’t ever have to worry about generating new leads? Congratulations! You can stop reading. But if you’re one of those companies, organizations, or non-profit entities that needs new customers in order to survive (much less grow and thrive), then you’ll probably want to learn about more ways to achieve that goal. And you’ll also undoubtedly want to know how to do this using the hottest online medium: video. After all, more than 80 percent of all online content by 2020 won’t be in text, image, or animated format, but instead will be communicated through video. Thankfully, there are numerous ways that you can utilize video to help increase the number of new leads coming into your business. Here are seven of the most common ones. 1. Determine whether you’re aiming for volume or convertibility. Depending on your type of business and your revenue-generating goals, you may rely more heavily on marketing tactics that produce a large number of new leads (like email blasts or using direct mail address lists) or a smaller number of leads that are of higher quality (like customer referrals or targeted social media ads). This will impact the type of video that you’ll use for lead generation. For a considerable number of leads, you can create “top of (sales) funnel” videos like those that provide an overview of your company or describe its uniqueness in the marketplace. For higher-quality leads that have a greater likelihood of conversion, go with “bottom of funnel” videos like those which showcase a specific product or demonstrate how one of your customers saved money, became more profitable, or improved their business. 2. Put a form in your video. An email gate: a pop-up window that requires an email address to be entered before the video is viewed. An annotation: an icon, hyperlink, or video preview screen that is overlaid over a playing video (usually in a corner or at the bottom of the screen) that if clicked by the viewer sends him or her to another place on the web. A call to action: text onscreen which instructs the viewer to call a phone number, visit a website, or carry out some other type of action. 3. Make a how-to video. Presumably, part of the reason your customers patronize your business is because of your expertise. So why not share some of your wisdom with them? Produce a video that showcases your company’s product or service and helps viewers address an issue or overcome a challenge that they will likely encounter. If they are impressed with your business’s problem-solving potential, they’re much more likely to want to learn more about what else you can do for them. 4. Become a thought leader. If you or your company has accumulated a great deal of knowledge about your industry, you can try and leverage it by creating a series of videos that demonstrate your mastery. Getting people to listen to your insights and suggestions can help you become a thought leader (aka influencer) to whom people will turn when they have questions about your niche. Once you are known as a thought leader, your image can grow organically. Members of the press might reach out to you for news stories that are relevant to your industry, and your social media channels could garner thousands (or even millions) of followers. 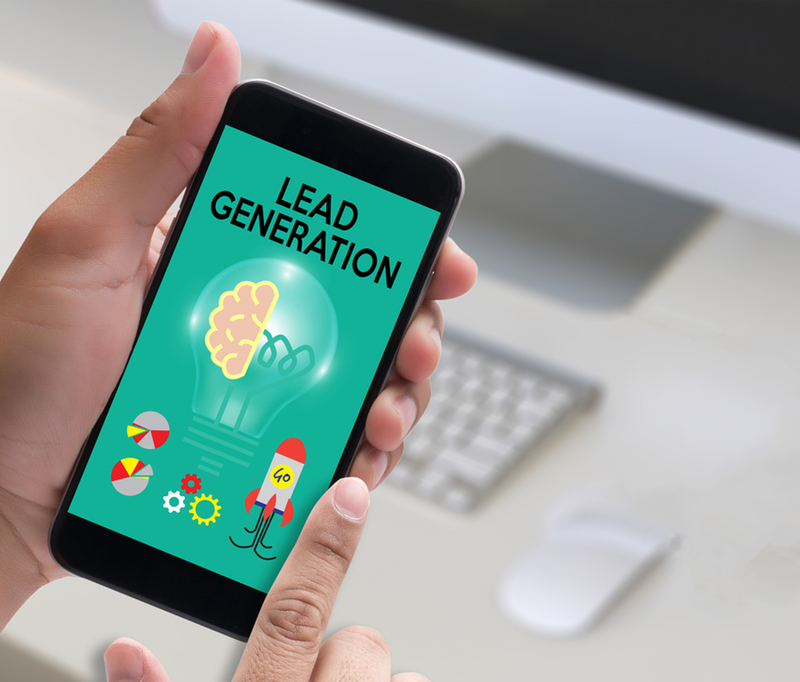 That can only help your lead generation efforts. 5. Conduct video question-and-answer sessions. The rise of live video platforms has enabled companies to easily deliver timely content to their targeted audiences. Holding a customer Q&A (or even a CEO Ask-Me-Anything) session can facilitate direct communication between your company and your potential customer base. This tactic is especially effective for companies who have tech-savvy customers, solicit consumer feedback through social media and other channels, don’t hold public quarterly earnings calls, or are led by telegenic and charismatic individuals. If promoted well and executed correctly, Q&As can provide you with a treasure trove of new leads. 6. Make a “customer journey” video. This tactic is well-suited for businesses who serve clients regularly as opposed to simply selling products. You can choose to relate a current customer’s true story or create a mythical customer to tie the video together. The idea is to create a character in a story to which the video’s viewers can relate. Then you can illustrate the protagonist’s journey from when he or she first seeks out your business through the implementation of your company’s solutions and climaxed by a description of the quantifiable positive results the customer enjoyed. If viewers see themselves in the featured customer, then they may get excited about partnering with your company. 7. Take great care in displaying and optimizing your video. Once you’ve chosen your video marketing approach, you should determine the ideal strategy for how to position it for maximum impact on your lead generation efforts. The first step is to “optimize” the video by using keywords, tags, and text descriptions of images to make it more visible to online search engines. Also, put some thought into where to place your video on the web. In addition to your own webpage and on YouTube, figure out the social media sites for which it is best suited. Facebook, LinkedIn, Instagram, Twitter, and Vimeo are all possible platforms for your video. Just be sure that you’re putting it in front of potential viewers who are more likely to share or comment on it (or patronize your business!). If you want to produce a complex or overly-creative video, be sure to engage the services of a professional video production company. Of course, you should also make sure whatever video you make fits with your company’s overall marketing strategy and branding. But if you can successfully harness the potential of video as a lead generation tool, your company will reap the benefits well into the future. Want to make a video to generate new leads for your company? Get a quote from us today!